Human greatness has many connotations. Since the requirements for membership in this category are vague and poorly defined, admittance to the Mount Olympus is frequently erratic and subjective, especially in view of a wide "penumbra zone"* of border cases. Nevertheless, rising above a twilight zone of debatable cases, there are individuals whose right for mem­ bership is unquestionable. In science, one of the unequivocal criteria for "greatness" relates to how far one's scientific achievement affects the opening of new horizons, and points to directions for future development and progress. Unveiling new visions can derive only from creative people who conceive original ideas and con­ cepts, and who are daring enough to promote them against the indifference or opposition of the establishment. Maintaining the integrity and the faith to one's own ideals may require extraordinary strength of character, - up to courting persecution or even death, - as happened in the middle ages, and more recently, in the first half of this century with regard to Cecile and Os­ kar Vogt, whose lives and accomplishments are described in this book. 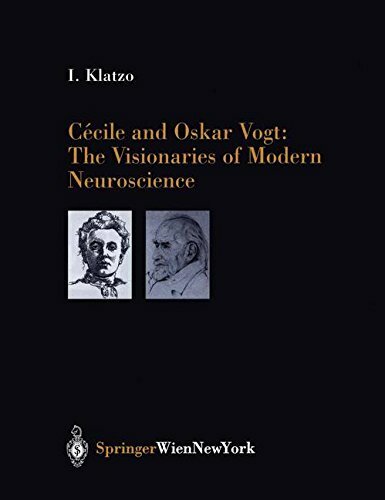 Thus the greatness of the Vogts is based both on their penetrating vision of the future for brain research and on the sterling quality of their character, which sustained a "test of fire" during the Nazi years in Germany.